Richmond Dairies a Casino based milk processor is doing its part to help its farmers cope with the cost impacts of the drought. 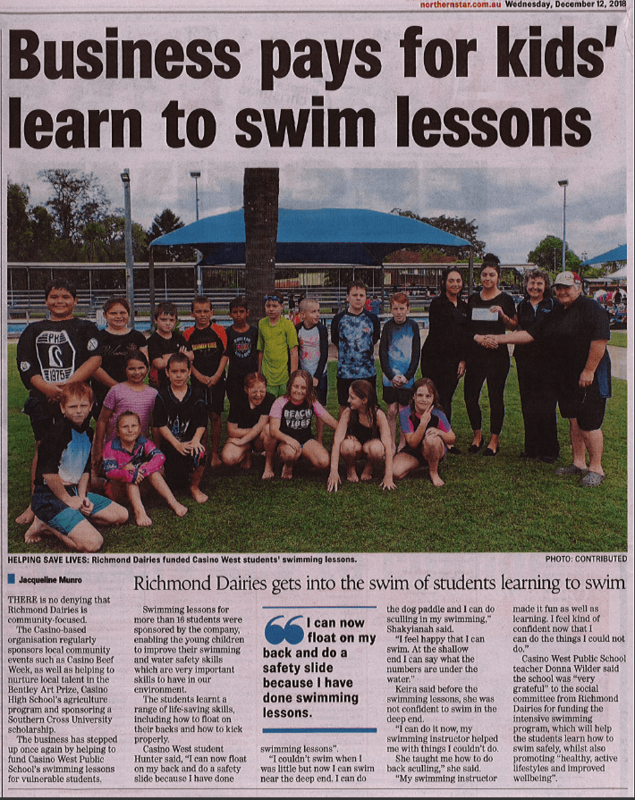 Richmond Dairies is active in the community. We want to support our region, the dairy industry and the people who live here. 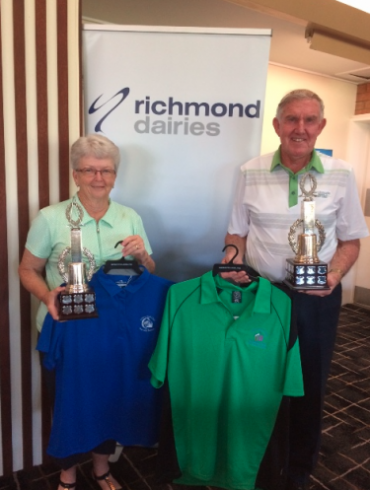 The Hudson Donnelly 2BBB Mixed Day sponsored by Richmond Dairies was a great success with 32 players competing for the trophy and the scores were very close. Winners Trevor & Kay Wood finished with 44 points from John & Allysen Weaver who had 43. Terry & Julie Llewellyn came in 2nd Runner Up with 42 points. NTP’s on the 17th were won by Jackie Bratti and John Weaver. Balls went to 37 points. 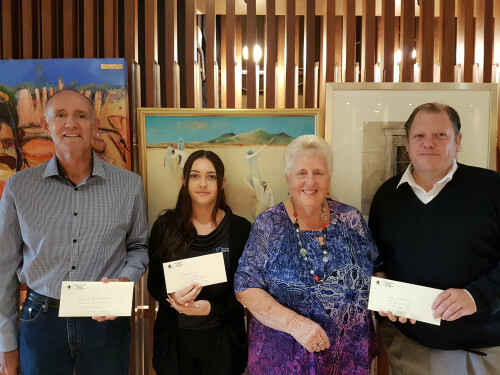 Richmond Valley Mayor Robert Mustow, Ebony, Bentley Art Prize co-ordinator Helen Trustum and Casino RSM manager Neale Genge at cheque presentation for major sponsors of the Bentley Art Prize at the Casino RSM last week. 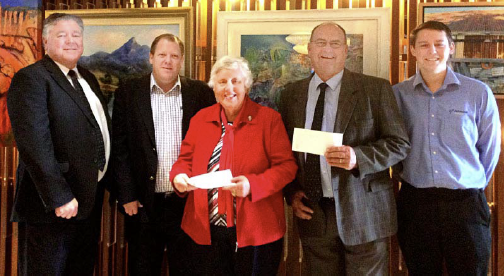 Richmond Dairies continues its association with the Bentley Art Prize by sponsoring the first prize award. 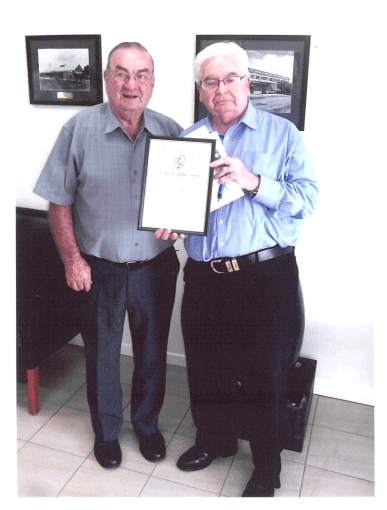 Richmond Dairies’ Managing Director, Chris Sharpe being presented an appreciation certificate from Mr Robert Moran, President of the Casino & District Historical Society. L-R: Robert Moran (President of the Casino & District Historical Society), Chris Sharpe (Richmond Dairies’ Managing Director). 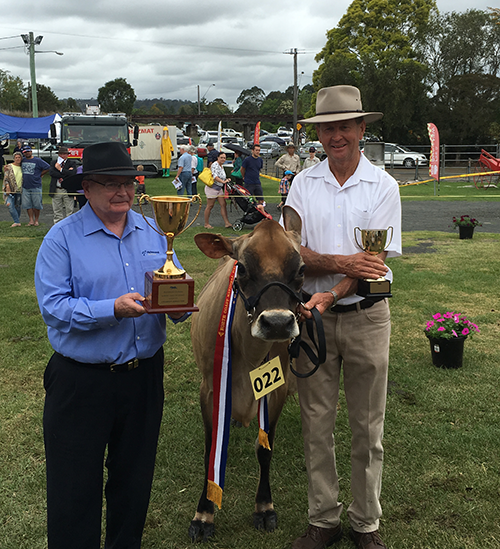 Richmond Dairies was proud to be the major sponsor of the 2015 North Coast National Dairy Spectacular which was held at the Lismore Showgrounds on the 23-24 October 2015. 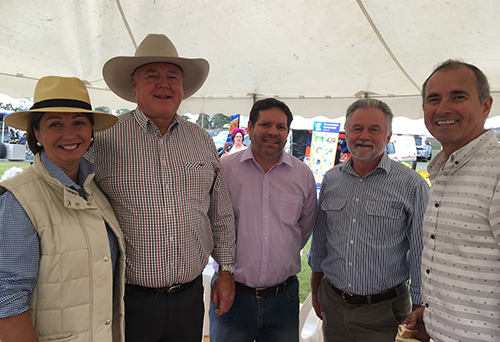 The Dairy Spectacular featured some of the finest dairy cattle in eastern Australia including Jerseys, Illawarras, Holsteins, Brown Swiss, Guernsey and Ayrshires. Richmond Dairies provided $15,000 in prize money for the event to show its support for the local dairy industry. We also hosted a morning tea for industry representatives and local dignitaries. 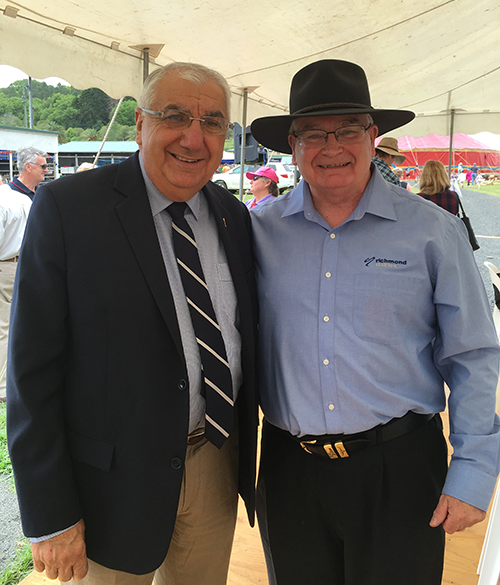 Richmond Dairies was proud to be the major sponsor of the 2016 North Coast National Dairy Spectacular which was held at the Lismore Showgrounds on the 20-22 October 2016. 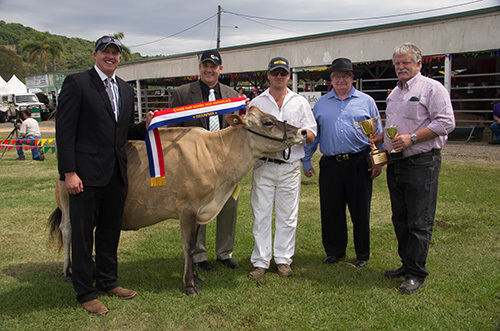 L-R: Kelvin Cochrane (Jersey & Interbreeds judge), Wayne Bradshaw (Jefo Australia), Craig Brooke with Kaperra Spiritual Fingers (the 2016 Supreme Champion Dairy Cow and Senior Champion Jersey Cow), Chris Sharpe and Peter Ness (President of Jersey Australia). 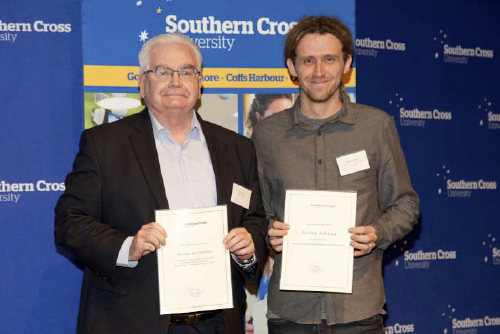 Richmond Dairies is the proud sponsor of the Jim Dickinson Environmental Science Scholarship at Southern Cross University. Richmond Dairies’ Managing Director, Chris Sharpe, recently presented a Rising Star Scholarship to Mr Jeremy Johnson, one of the winners of a 2015 scholarship. 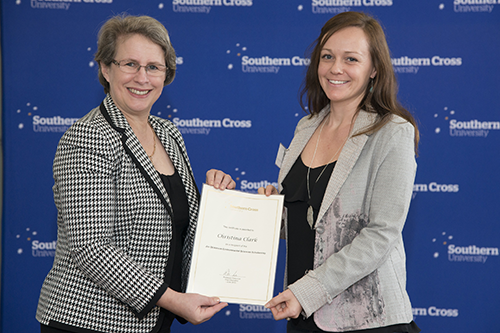 Recipient Christina Clark receives her scholarship certificate from Professor Geraldine Mackenzie, Deputy Vice Chancellor (Research). 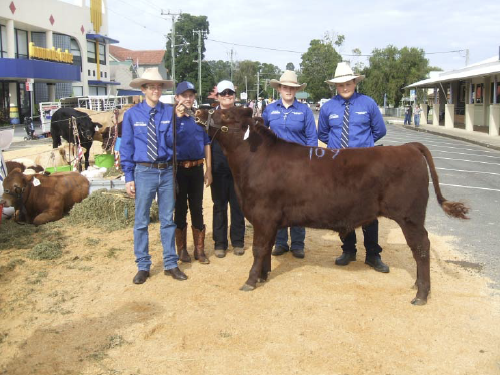 Richmond Dairies has donated this Red Poll steer to Casino High School's Agriculture program. Students showed the steer at Casino's Beef Week 2015.